As you're probably aware, the annual Get in Rhythm. Stay in Rhythm.TM Atrial Fibrillation Patient Conference is this September 16-18 in Dallas, Texas. You may not know that we recently confirmed Elaine Hylek, MD, Professor of Medicine and Director of the Thrombosis & Anticoagulation Service at Boston University Medical Center, and one of the world's top experts on anticoagulants, as a speaker for the event! 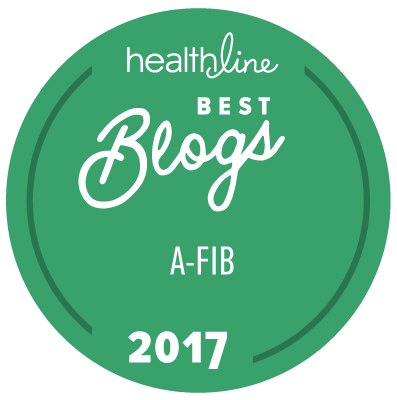 She'll be speaking about exactly what you need to know, now, as an Afib patient, when it comes to anticoagulants and aspirin … based on THE most up-to-date information. What she's sharing is so important that we didn't feel it could wait until September. So, on Wednesday, July 20 at 4 pm EDT/3 pm CDT/1 pm PDT, we are offering a complimentary presentation in which I'll interview Dr. Hylek. When you go to the link above and sign up to join us, you'll have the rare opportunity to hear from one of the world's leading experts on anticoagulants, Dr. Hylek, who has served on the Executive Steering Committees for international clinical trials and national registries. She'll talk about what you need to know about HOW doctors determine whether you may be suited for anticoagulants, and how to decide between traditional blood thinners such as warfarin (Coumadin®) and the newer direct-acting blood thinners (Pradaxa®, Xarelto®, Eliquis®, and Savaysa®). Plus, you'll hear the newest information on reversal, and the potential role this information plays in your treatment plan. Again, this is a rare opportunity to hear that expertise at no cost, and we've scheduled this pre-conference call because the information is so important, we want you to have it now.